It is widely understood that insulin resistance (IR) critically correlates with the development of liver fibrosis in several types of chronic liver injuries. Several experiments have proved that anti-IR treatment can alleviate liver fibrosis. Sodium–glucose cotransporter 2 (SGLT2) inhibitors comprise a new class of antidiabetic agents that inhibit glucose reabsorption in the renal proximal tubules, improving IR. 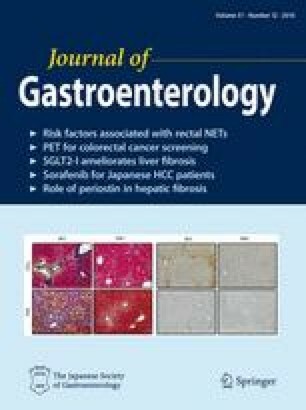 The aim of this study was to elucidate the effect of an SGLT2 inhibitor on the development of liver fibrosis using obese diabetic Otsuka Long-Evans Tokushima fatty (OLETF) rats and their littermate nondiabetic Long–Evans Tokushima Otsuka (LETO) rats. Male OLETF and LETO rats were intraperitoneally injected with porcine serum twice a week for 12 weeks to augment liver fibrogenesis. Different concentrations of ipragliflozin (3 and 6 mg/kg) were orally administered during the experimental period. Serological and histological data were examined at the end of the experimental period. The direct effect of ipragliflozin on the proliferation of a human hepatic stellate cell (HSC) line, LX-2, was also evaluated in vitro. OLETF rats, but not LETO rats, received 12 weeks of porcine serum injection to induce severe fibrosis. Treatment with ipragliflozin markedly attenuated the development of liver fibrosis and expression of hepatic fibrosis markers, such as alpha smooth muscle actin, collagen 1A1, and transforming growth factor beta (TGF-β), and improved IR in a dose-dependent manner in OLETF rats. In contrast, the proliferation of LX-2 in vitro was not affected, suggesting that ipragliflozin had no significant direct effect on the proliferation of HSCs. In conclusion, our dataset suggests that an SGLT2 inhibitor could alleviate the development of liver fibrosis by improving IR in naturally diabetic rats. This may provide the basis for creating new therapeutic strategies for chronic liver injuries with IR.